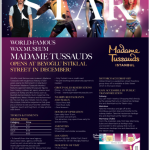 Opening in late 2016, Madame Tussauds İstanbul will provide a fun experience for all ages. World’s most famous Wax Attraction brand Madame Tussauds is getting prepared to open its 21st Attraction Center in Istanbul by late 2016. The 250 years old brand’s Istanbul center will become a unique attraction center providing visitors with a fun, interactive and unique experience as they are able to touch, see, feel and photograph their favorite celebrities such as Zeki Müren, Barış Manço, MFÖ, Adile Naşit, Yaşar Kemal, Angelina Jolie, Usain Bolt, Steve Jobs, Messi, Rihanna, Marilyn Monroe, Muhammed Ali as well as political and cultural leaders such as Mustafa Kemal Atatürk, Mevlana and Fatih Sultan Mehmet. A total of 58 figures the attraction plans to debut towards the end of this year adding to the up-close-and-personal experience. 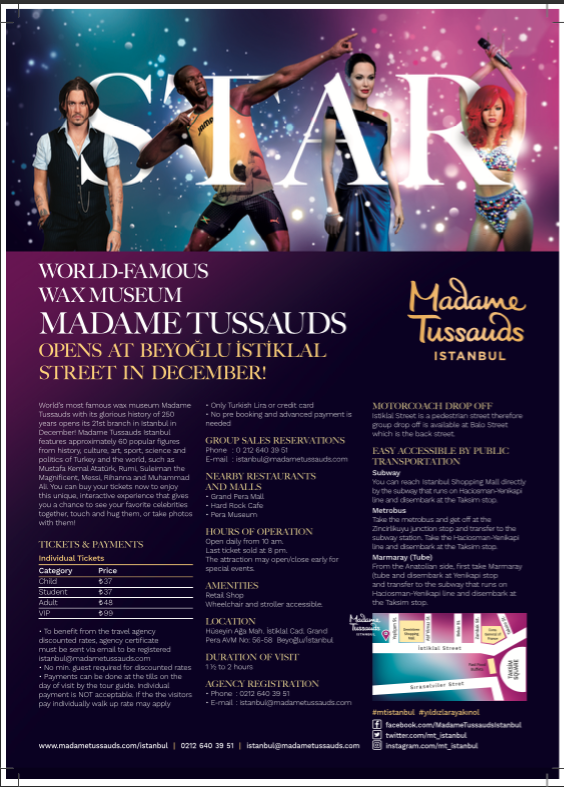 Madame Tussauds Istanbul attraction center will host a number of historical and cultural heroes of the Turkish nation as well as many past and current celebrities of the arts, sports and politics arena. The attraction will provide a historical walk through from the Ottoman to the Republic eras and showcase many Turkish figures as well as a wide range of international pop, sports and movie stars. Owned and operated by global leisure giant Merlin Entertainments plc (Merlin), Madame Tussauds Istanbul will be Merlin’s 21st wax attraction to open in the world. Stay tuned for new announcements.